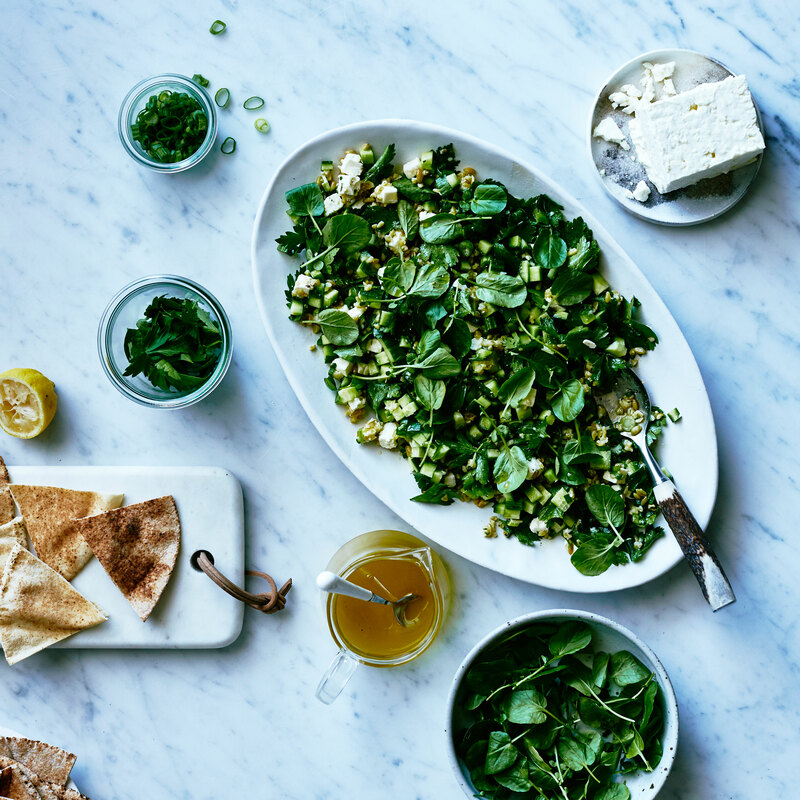 Built in layers so you get dressing and watercress in every bite, this tabbouleh can be served as a side with roasted or grilled meat or fish, or with hummus and pita bread to make a vegetarian dinner. Make the vinaigrette: In a bowl, whisk together lemon juice, oil, sea salt, and pepper. In a serving bowl, toss freekeh, cucumbers, parsley leaves, green onions, and feta with 2 tbsp. vinaigrette. Taste and add more vinaigrette if you like. Arrange tabbouleh on an oval or rectangular platter and top with watercress.